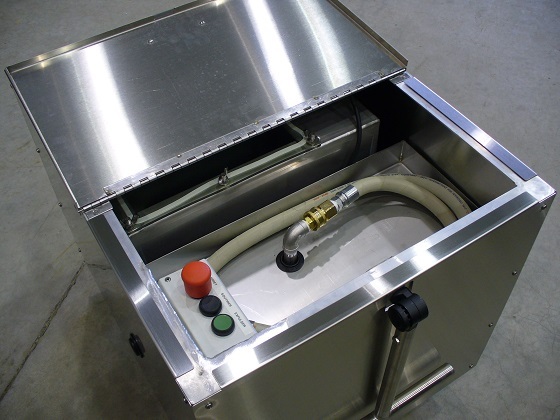 For over a year and in collaboration with Sanimax and Sobeys, Industrie Billette develops and manufactures the San Ecovac, a mobile pump station for used cooking oil. A feature makes it stands out from its equivalents on the market. Indeed, a bidirectional pumping allows filling and dumping oil directly from one tank to another one, thus reducing the risk of burns and spills. 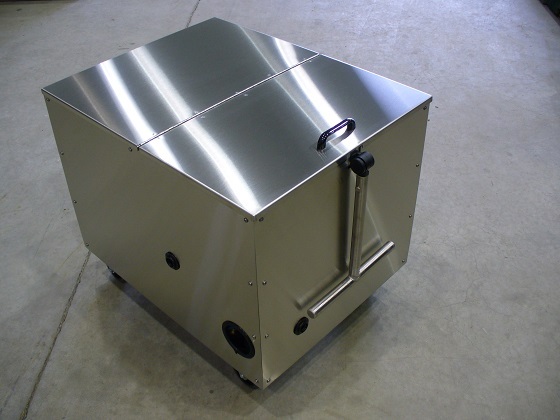 For about six months now, the San Ecovac is distributed in several known food banners and permits a safe maintenance of commercial fryers and grills. Finalist at Gala des champions Sobeys Québec 2013, the San Ecovac has been awarded for “Innovation bien être et sécurité des employés”. 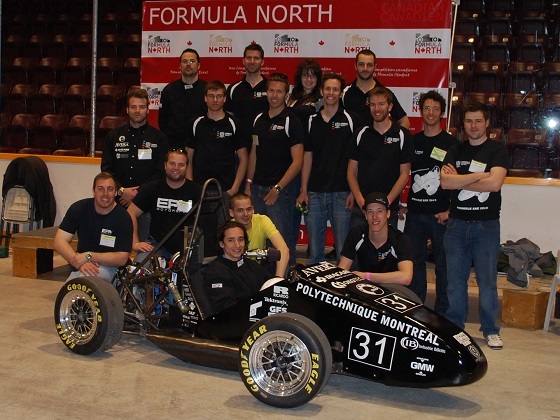 Industrie Billette is proud to have contributed to the success of a group of graduates from the Polytechnique of Montreal. 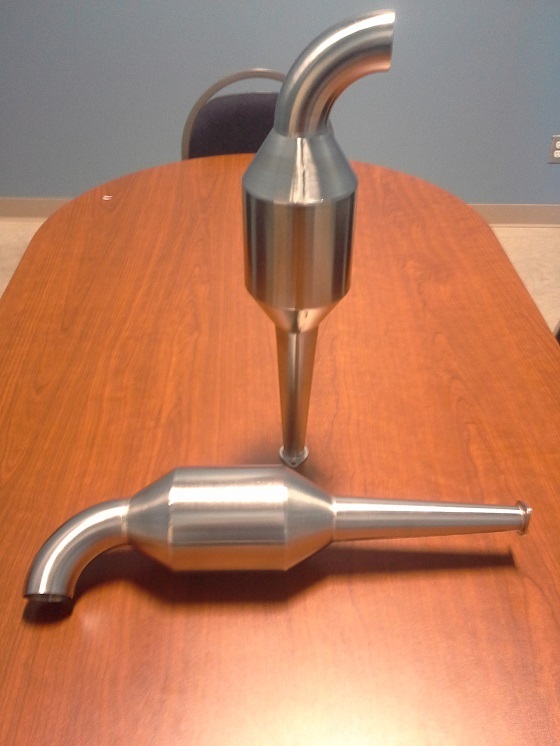 Industrie Billette sponsored the team by fabricating some of the SAE 2013 edition race car exhaust system. 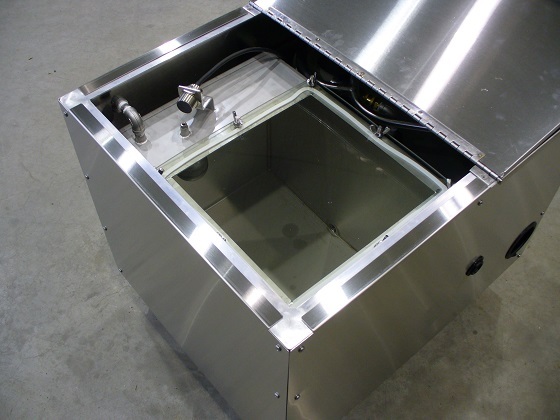 Anxious to improve our manufacturing processes and our efficiency, we have recently acquired a glove box LCWC-100, from LC Technology Solutions. This new equipment, more efficient, allows us to filter argon to avoid all external contaminants and provides better humidity control. Industrie Billette is proud to have made a float of trolleys for Sanimax which will be used to facilitate the transportation of organic waste containers. These devices are now part of the collector’s that work on the roads work environment. They help to significantly reduce unnecessary exertion or injuries due to handling loaded containers. Demonstration. The Carrycart has won the 2013 SST public Grand Prize. Industrie Billette is proud of having contributed to the Verchères Golf Tournament 2012, a significant event for the funding of youth organisations of the municipality. 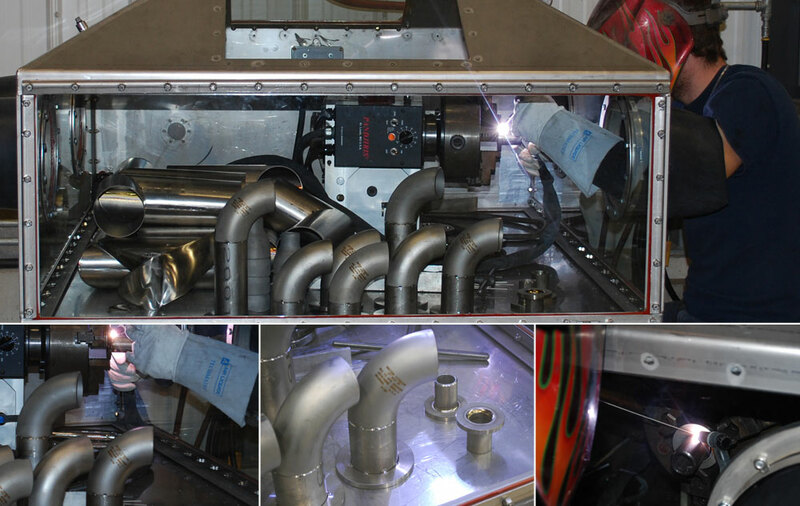 To meet the demand, we have made a glove box permitting to weld specialized metal that require gas protection, reducing oxidation traces especially on titanium and zirconium. To enhance the quality of our service, we recently acquired, since November 2011, an italian hydraulic bending rolls Biko. 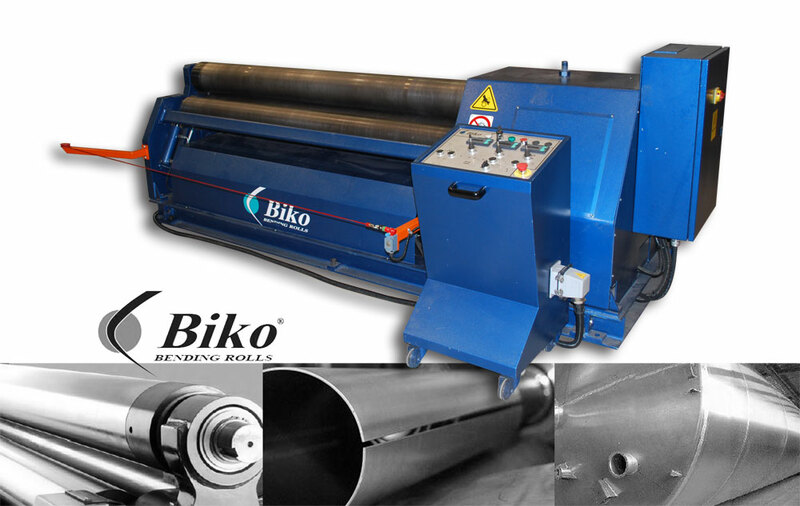 The Biko B4 series 2020 with its 4 rolls technology has a 5/16″ thickness for steel and 1/4″ thickness for stainless steel x 80″ wide rolling capacity. 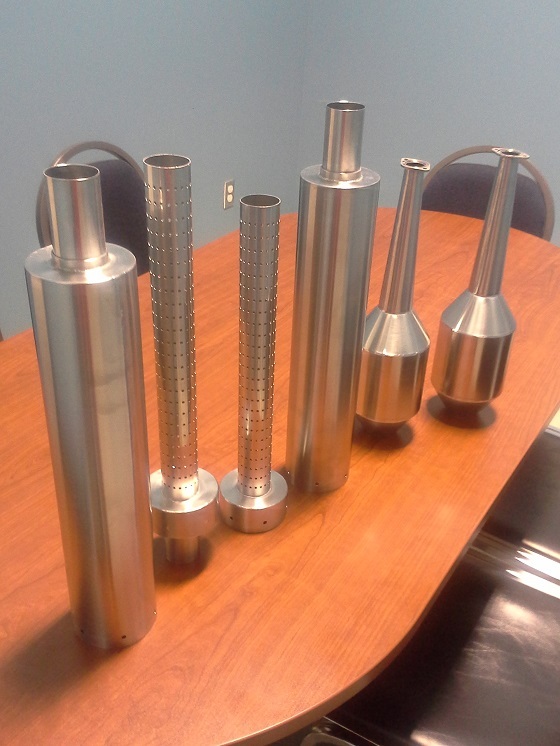 It allows us to form metal sheet of greater size and to easily shape conical pieces.